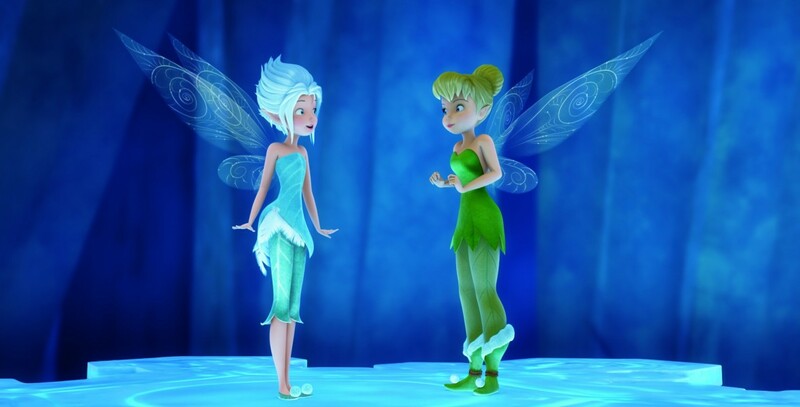 Secret of the Wings (film) In this animated feature, Tinker Bell and her fairy friends journey into the forbidden world of the mysterious Winter Woods, where curiosity and adventure lead Tink to an amazing discovery and reveal a magical secret that could change her world forever. Released on August 31, 2012, in an exclusive engagement at the El Capitan Theater in Hollywood, after earlier foreign releases beginning on August 17, 2012 in Turkey; released on DVD and Blu-ray on October 23. Directed by Peggy Holmes and Bobs Gannaway. Working title was Tinker Bell and the Mysterious Winter Woods. Voices include Mae Whitman (Tinker Bell), Lucy Hale (Periwinkle), Lucy Liu (Silvermist), Megan Hilty (Rosetta), Angelica Huston (Queen Clarion), Jesse McCartney (Terence), Raven-Simoné (Iridessa), Timothy Dalton (Lord Milori), Matt Lanter (Sled). Produced by DisneyToon Studios.